BOCA CEIGA Unit #8 is a charming 1 bedroom / 1 bath 635sq. feet intracoastal condo, with a heated pool and 5 minute, short one block walk to the beach, restaurants, bars, grocery store and much more. This condo sits on the intracoastal waters. Enjoy sitting by the dock to see dolphins or manatees. The condo accommodates up to 4 with a queen bed and a queen sleeper sofa. Updated and clean kitchen open to the dining and living space. This 2nd floor condo is accessible by stairs only and has a community niche at the end of the breezeway to sit at the bar top table for a meal or drinks. You will appreciate the private heated pool. This wonderful condo offers a 15 x 37 boat slip. The Suncoast Trolley will take you to Clearwater Beach. Visit Winter the Dolphin at the Clearwater Marine Aquarium or stop at Splash Harbour in Indian Shores for the local water park. 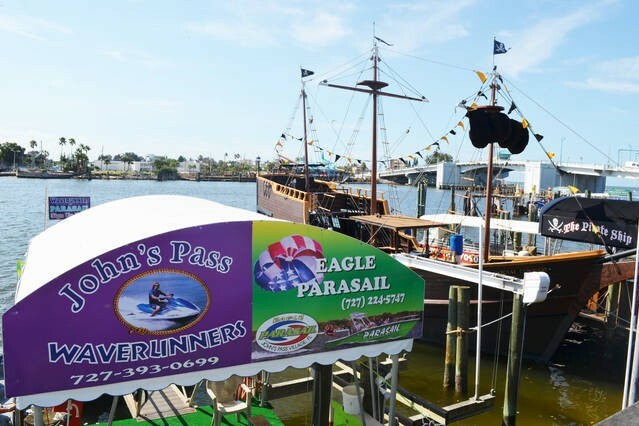 John's Pass Village and boardwalk in Madeira Beach will offer beach shops, restaurants, boat/jet ski rentals and dolphin sightseeing excursions. SO much to do around the area.... stay 7 days or longer. This condo is comfortably equipped for your vacation rental including tv, internet, linens, towels, full kitchen microwave, dishwasher, full refrigerator, stove/oven plus a convenient washer/dryer in the condo. Must be 25 years or older to reserve and be an occupant during reservation dates. Please contact me with information regarding Boca Ciega Shores. "When I first arrived I was a bit disappointed that I didn't stay on the actual beach. But after staying here a couple of days I quickly realized that the bay side is the best side to be on for a number of reasons. First of all we watched dolphins EVERY SINGLE NIGHT, and we even saw multiple baby dolphins. Our last day we saw 10 sting rays swimming down the bay. The neighbors are extremely friendly and we met some that we hope to stay in contact with. One night we sat by the water while he played guitar and I sang. It was one of the best nights of my life. The location is wonderful and it has everything that you need. 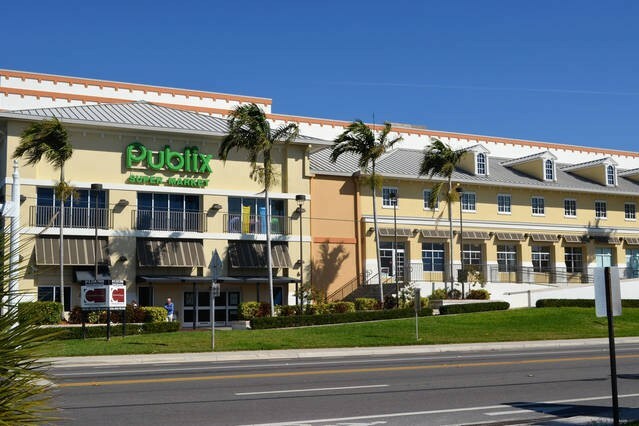 Publix and the beach are two blocks away. Many bars and restaurants are only 1. We ended up renting a car so we could get around the beach more efficiently as St Johns Pass is where you'll be able to parasail and rent jetski's to take out on the gulf. If you do decide to do that, then I would recommend "flyin-high". They were wonderful and so accommodating. One thing not mentioned is that the condo includes one of the most comfortable beds I've ever slept in. And I felt like I was discovering something new about the place every day. Highly recommend 5/5 stars! And thank you for letting us stay in your little abode. We will be back, I can promise you that." Great location, condo as described - perfect, clean & well furnished. Prompt response when contacted. Can't wait to return! Great unit, handy to restaurants , stores and the beach! We had a greta stay and the unit was very comfortable. Definitely will be back, Thanks! The property was beautiful and the location was perfect! So close to so much! We loved the quaint feel of this condo! We spent quite a bit of time relaxing on the dock, and the location was absolutely perfect! Right down the road from the grocery, liquor, and convenience stores, and super close to delicious restaurants!